Copper alloy Roman nummus coin. 'Urbs Roma' issue. Copper alloy Roman nummus, 'Urbs Roma' issue. 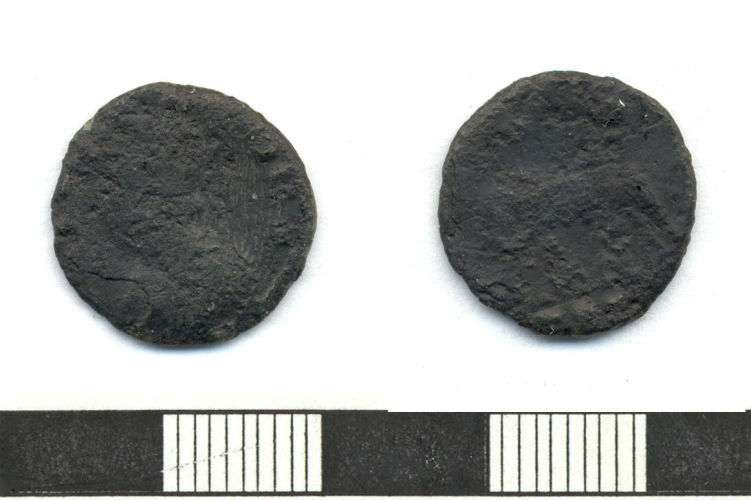 Copper alloy Roman nummus, 'Urbs Romas' issue. Roman copper alloy nummus, Urbs Roma issue.